Gmail is the most widely used free email service available on the web. It's easy to use, has a clear layout, and comes with range of useful features. One of these features is the ability to create aliases for your Gmail address, and while it's not widely known that you can do this, it's very convenient for people who want to be able to use more than one address without having to actually use more than one account. There are in fact two different ways of creating a Gmail alias, and this guide covers both of them. The first – the 'temporary' method – involves always using your main email address, but adding one or more special characters that create what looks like a new email address, but that Gmail recognizes as your original address. The other, 'permanent' method involves changing your Gmail settings so that you can actually have mail sent to another address also directed to your primary Gmail address. One less-than ideal feature of today's internet is that a growing number of websites ask you to hand over your email address and register with them in order to continue looking at their content. However, as hazardous as this can be for the cleanliness of your inbox, there is a way to make it look a little less cluttered. This involves creating a temporary Gmail alias. When signing up with a new website or online service, you can do this simply by inserting a period (".") into your normal Gmail address. So if your address is, say, "johndoe@gmail.com", typing "john.doe@gmail.com" creates an instant alias. You can insert the period anywhere you like, and you can also insert as many as you like, so that your address ends up looking something like this: "j.o.h.n.d.o.e@gmail.com". As different as such aliases may look to the casual observer, Gmail treats them as identical to your original address, so anything sent to "j.o.h.n.d.o.e@gmail.com" will actually be sent to “johndoe@gmail.com". Temporary aliases can be created using not only the humble period, but also by adding a plus sign ("+") to the end of the address. For example, "johndoe+@gmail.com" is a temporary alias, although "john+doe@gmail" isn't (messages sent to such an address will fail). Added to this, you can type any gobbledegook after the plus sign, such as "johndoe+fsnsfsfwwgnj@gmail.com", and mail sent to this still goes to your address. Of course, you might be wondering, 'What's the point of all this?' Well, one useful trick involving temporary aliases is to create filters that put emails sent to, say, "john.doe@gmail.com" in a folder other than your inbox. This way, you can prevent your inbox from buckling under the weight of too many promotional emails. Open your Gmail account by navigating to mail.google.com. Click the triangular More icon on the right-hand side of the search bar. In the dropdown menu that appears, type the temporary alias' address into the To field. Scroll down and click the Choose category dropdown submenu. Click the category to which you'd like the emails to be sent, such as "Promotions". The other way of creating a Gmail alias is a little different, but it's useful if you already have multiple email addresses and would like a time-saving way of checking all your mail in one place. Assuming you have two email addresses (although it can be done with more), "johndoe@gmail.com" and "janedoe@gmail.com", here's how you add the latter as a permanent alias of the former, so that mail sent to "janedoe@gmail.com" is also sent to "johndoe@gmail.com". Click the Settings cogwheel in the top-right corner of the screen. Scroll down to the "Check mail from other accounts" subsection and click Add a mail account. Enter the email address you'd like to add as an alias (e.g. "janedoe@gmail.com"). Enter the password for the address you'd like to add (this is the password you use to login to that address and its account). Clicking "Add Account" enables you to view mail sent to the alias address. 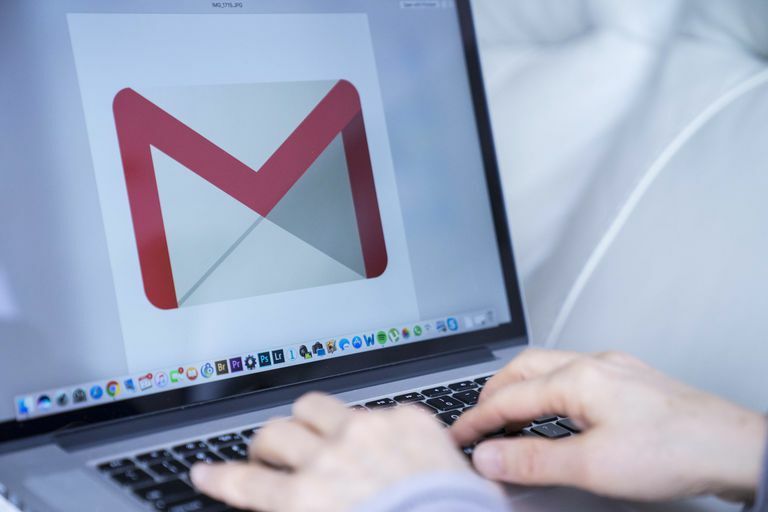 However, there are other steps after this, and they determine whether you can also send mail from the alias address using your original Gmail account. Ensure that the "Yes, I want to be able to send mail as janedoe@gmail.com" checkbox is checked (it usually is, but click it if it isn't). Ensure that the "Treat as an alias" checkbox is checked (although it usually is). Log into the email account you'd like to add as a permanent alias. Open the email sent from the Gmail Team regarding confirmation of the alias (e.g. the subject heading will be something like "Gmail Confirmation - Send Mail as janedoe@gmail.com"). Click the verification link enclosed in the email to complete the adding-an-alias process. Once you've done this, you'll then be able to specify who your emails are 'From' when writing them (this field will be visible at the top of your draft emails, above the 'To' field).